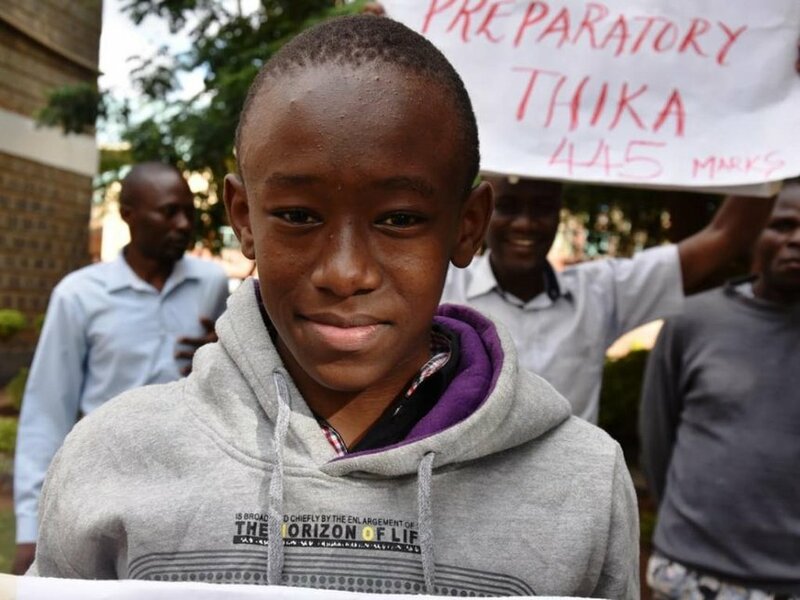 Home EDUCATION Thika boy beats all odds to top in KCPE. 14-year-old Emmanuel Njenga from Stepping Stones Preparatory School in Thika can be described as one of the many miracles. Njenga, who scored 445 marks in the just-released KCPE results to emerge top in the sub-county and fourth nationally, was born prematurely and only weighing 1.8kg. According to his father Michael Wathiomo, the boy had to be given neonatal intensive care for two months something that almost took a toll on the family. "We fed him milk using syringes. He gained 10 kilograms in a span of two months. He has been a survivor and has fought his way to where he is now. We thank God because it was not our doing but His doing," Wathiomo said in excitement. His mother Lydiah Wathiomo recounted how she was ridiculed for birthing a seemingly 'abnormal child'. "The results are just amazing. I cannot better express how I feel about my boy. We thank God for this success. We are just very happy," she said. School Director Chris Irungu described him as a hardworking and disciplined boy and praised teachers and parents for the good work. Njenga who now hopes to join Alliance High School wants to be a neurosurgeon when he grows up. “I would like to go to Alliance Boys High School after which I would go to university to study medicine. I want to be a doctor to save lives. There is no secret to success, one only needs to be focused and disciplined,” he said. The boy was enrolled at Stepping Stones preparatory at the age of three and a half years, naive, of featherweight and unsure of what the future held for him. Over 40 out of the 100 registered candidates scored 400 marks and above, results the directors attributed to discipline, hard work, and responsible parenting. A 13-year-old Grace Mwende Kamau outstandingly scored 438 marks at the same school. She told the Star of her dreams to become a doctor.